If the material to be painted is not water resistant/will be exposed to weather, primer is a necessity. Drywall, used in new construction, is routinely treated with primer not only because of the latter's adhesive and sealing properties, but also because it helps prevent mold. 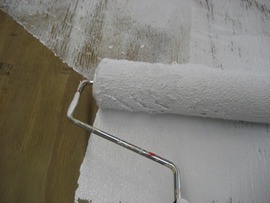 Primer is also used when a lighter color is being applied over a preexisting darker paint. Depending on the brand used, a gallon of primer runs between $9 and $25. On average, a five gallon bucket of high quality primer costs between $70 to $110.